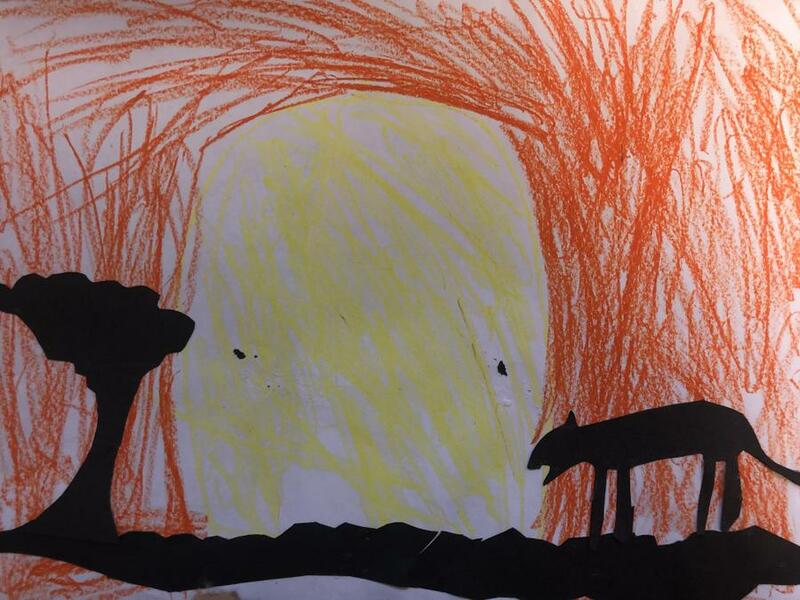 Year 2 created beautiful African sunsets yesterday, using pastels and coloured pencils. 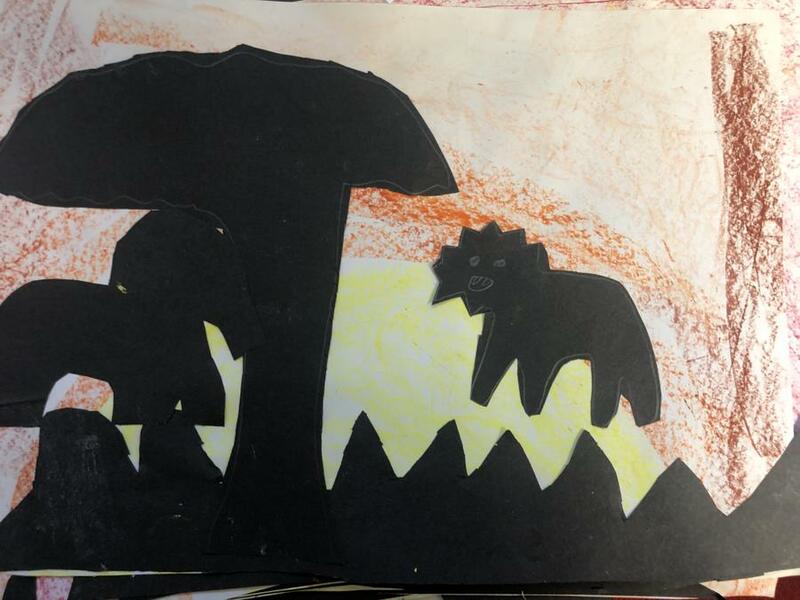 Then they created sillouettes of trees and animals using black paper. 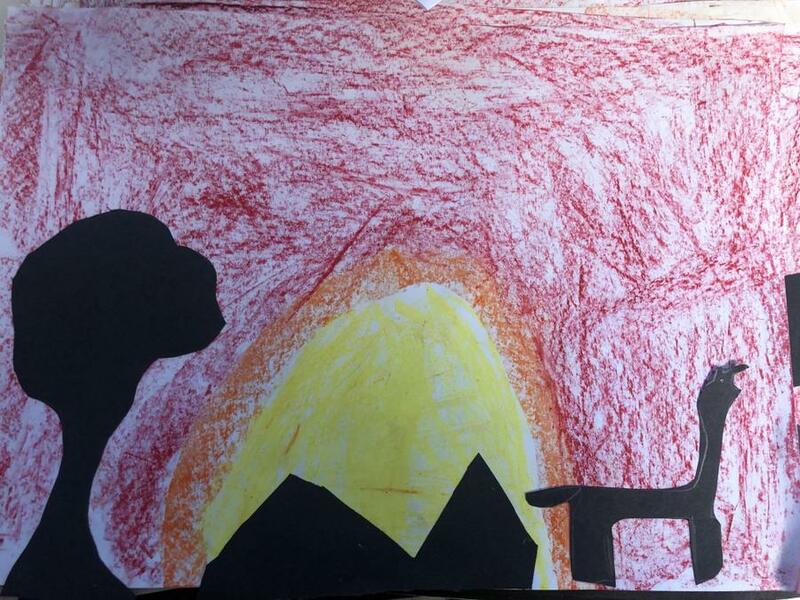 Check out the fabulous artwork below!